DigitalGlobe Premium Services: DigitalGlobe’s Global Basemap, FirstLook, and Multispectral Premium Services can now be seamlessly integrated into the workflow of ArcGIS users, allowing them to access the most current imagery and information available directly from the source. They are three premium services under the ArcGIS Online Information Services. These services allow organizations to acquire content as a service through one vehicle and put data into workflows. 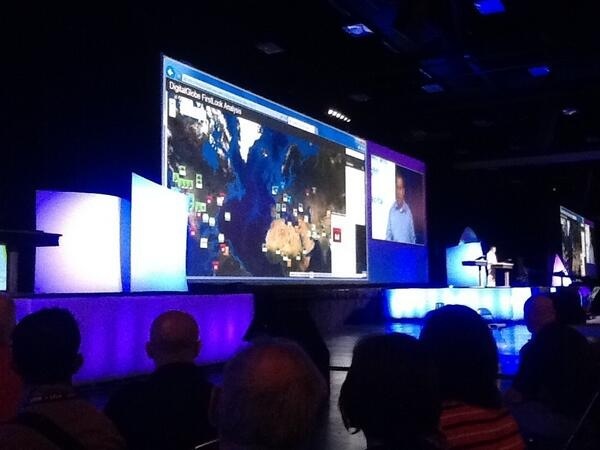 DigitalGlobe is running the cloud and integrating with ArcGIS Online. ArcGIS base maps and World Imagery are free to ArcGIS Online users. DigitalGlobe Premium address all that “free” doesn’t provide. Pricing depends upon how much area to access and how many users. There is also a different content strategy for each global-pre-programmed user and costs are customizable to projects. The Global Basemap Premium Service provides some of the best available natural color and panchromatic imagery. This imagery is available as a cached tile service with vast coverage of the U.S. and Canada. This service will be regularly updated to reflect new, high quality imagery from DigitalGlobe. The FirstLook Premium Service is a disaster and crisis monitoring service populated with imagery when a qualifying event occurs, such as a natural disaster, manmade crisis, political instability, or human interest occurrence. Through this service, users have access to near real-time post-event imagery as well as pre-event imagery for comparison. The Multispectral Premium Service offers access to rich, full resolution multispectral content through an ArcGIS Online interface running on a highly scalable cloud architecture. The service and the content it hosts can be tailored to the client’s specific project needs. Users who require highly detailed imagery for image analytics, geodatabase updates, and surface change analysis can work with DigitalGlobe experts to maximize the value of the subscription. TerraGo launched some years ago with their groundbreaking GeoPDF products, which attributes geospatial information to PDFs. They released GeoPDF v 6 last fall. They released 3D composer 18 months ago, a product that allows people to start with an image and do draping for GeoINT. From that initial launch, the company has expanded into offering a number of other solutions, namely and most recently the release of TerraGo Vision Platform. Because the most valuable location intelligence data is gleaned from internal and external Big Data sources, a platform designed for mission-critical information that can be seamlessly integrated and then delivered to decision makers, analysts, field and mobile workers is more valuable than previously used centralized data stores. Vision Platform allows organizations to build powerful geospatial solutions for situational awareness and improve decision making and response times. TerraGo’s largest customers are the NGA, Army, DHS, and USGS. Esri Publisher for ArcGIS has 1,000 customers around the world. TerraGo added GeoForms to it, extending the feature data inside ArcGIS, and made it available for mobile. The company also released additional capabilities around 3D GeoPDF with the goal of getting actionable intelligence to someone at the edge who might be disconnected from the internet. Terrago Mobile was re-architected to be geared toward the Android and iPhone and to take high resolution imagery to the field. GeoXray automates unstructured data discovery (funded through In-Q-tel) analysis, and geospatial vizualization. It is useful for “edge users,” decision makers, and analysts. Custom Enterprise Solutions are server based solutions for data discovery, integration and delivery. 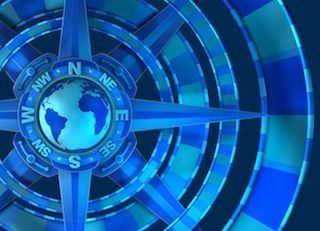 Being able to discover location intelligence is a big problem. Moreover, the massive information available from disparate data sources needs to be intelligently filtered by place, time and topic, then it needs to be seamlessly delivered. If you need imagery, Esri ArcGIS imagery allows users create their own data on demand. 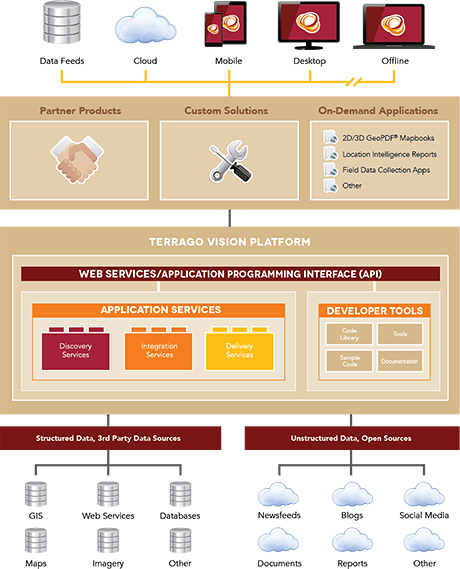 Terrago Vision isn’t a product – it’s a collection of APIs and developer tools, and application services. ArcGIS Server is in the background, and is where geocontent comes from. The services come from the internet, and other data can come from any system TerraGo attaches to. The desktop is going to ingest Esri Image Services, take the same workflow and do that on a web browser that’s fully cloud enabled, but presents to the user just with a browser. The data doesn’t exist on the desktop, it exists on the cloud and is rich in Landsat data, and displays all data that is just in one geographic area of interest. You just get data, display it in catalog view, do change detection and run it. The workflows can be presented on the desktop, in the web and on mobile on the cloud. This way people less familiar with the desktop can access the information. This entry was posted on Wednesday, July 17th, 2013 at 2:35 pm. You can follow any responses to this entry through the RSS 2.0 feed. You can leave a response, or trackback from your own site.